Since our inception we have reviewed over 500 alternative investments, spanning all sectors, asset classes and locations. 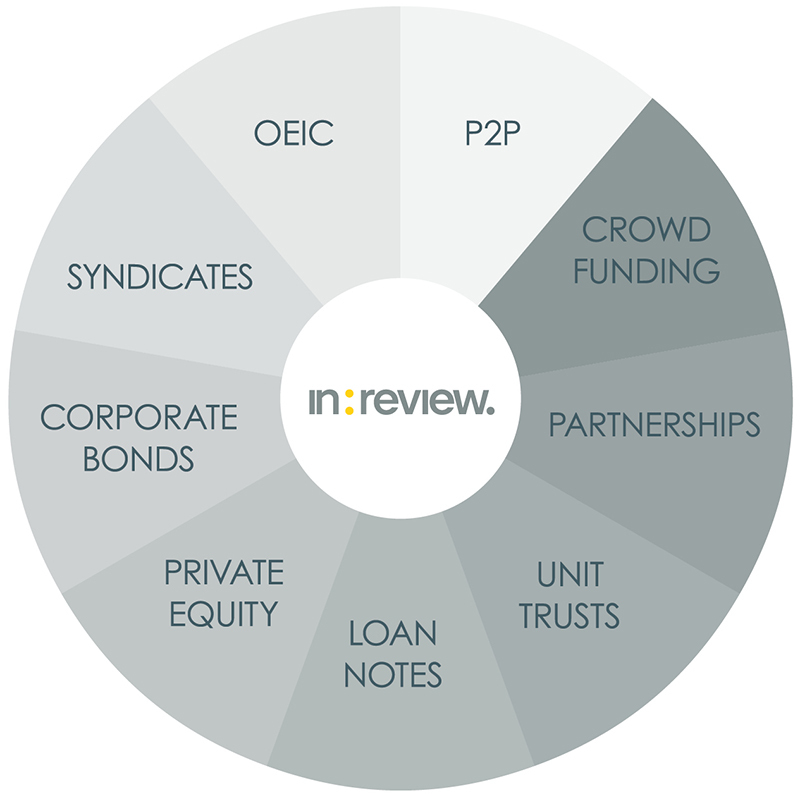 As a result we have become a trusted resource for investment professionals and product providers alike. Based in Richmond, in:review is now part of the Indagate Group. 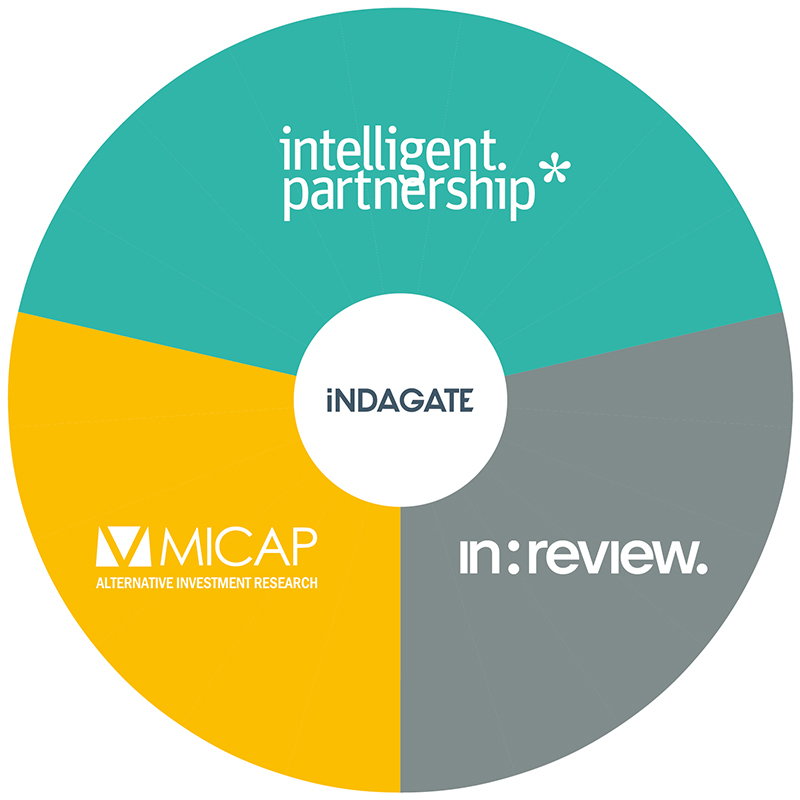 The Indagate Group was formed in 2015 and wholly owns in:review, Intelligent Partnership and MICAP. 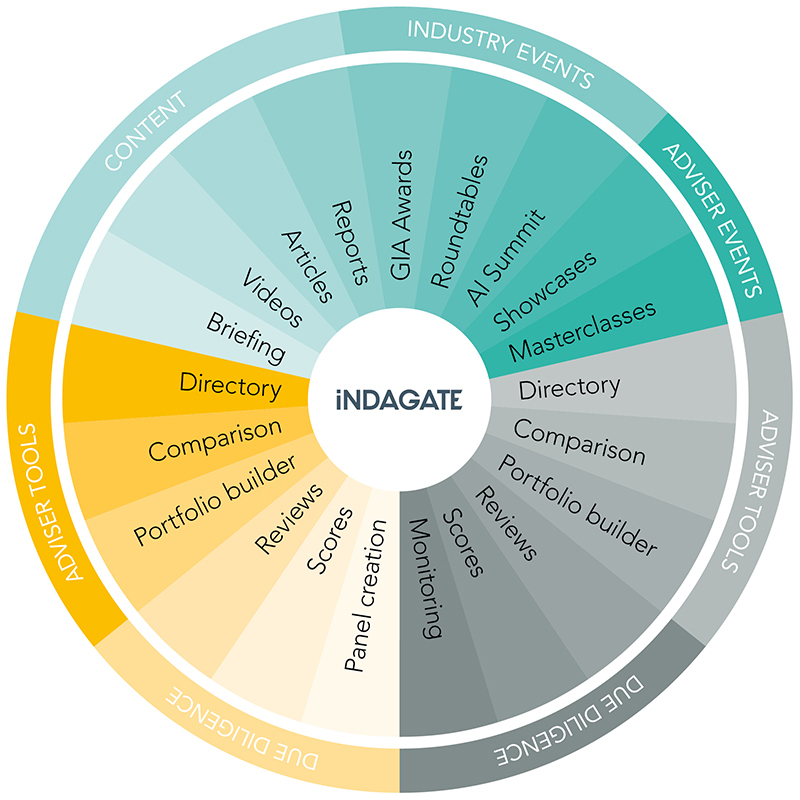 Intelligent Partnership provides advisers with the content, education, tools and support they need to evidence whole of market understanding, broaden their investment propositions and help their clients make informed decisions about how to manage their finances and invest for the future. MICAP provides quality independent due diligence and research into the tax-advantaged investment market. All of MICAP’s research is provided via its user-friendly platform specifically designed for advisers considering EIS, VCT, SEIS, BR &amp; SITR investments. MICAP is the go-to place when advising on tax-advantaged investments.